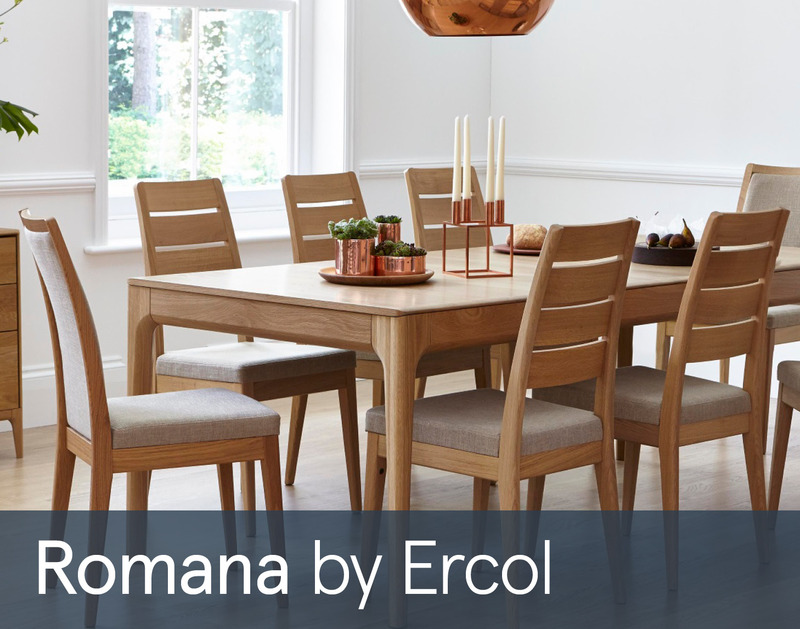 Romana is a sophisticated collection of stylish mid-century dining and living room furniture by Ercol. Expertly crafted from solid pale oak, its sleek understated lines and organic curves have an on-trend contemporary feel. Innovative functionality and storage options add to Romana’s discerning appeal.